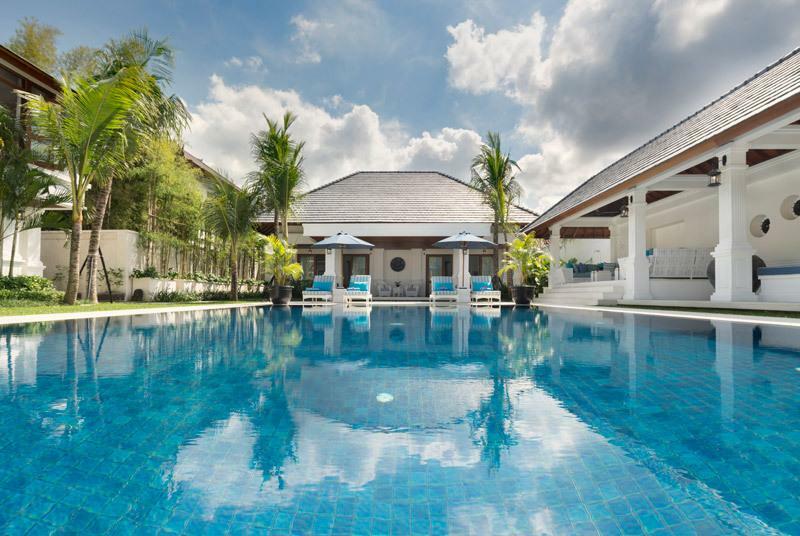 Windu Villas is pleased to announce the opening of Windu Asri, where we have honed the art of combining the comfort, intimacy and ambience of a private home with a level of service akin to that of a luxury boutique hotel. Windu Asri is within walking distance, or a short taxi ride, of Petitenget Beach. 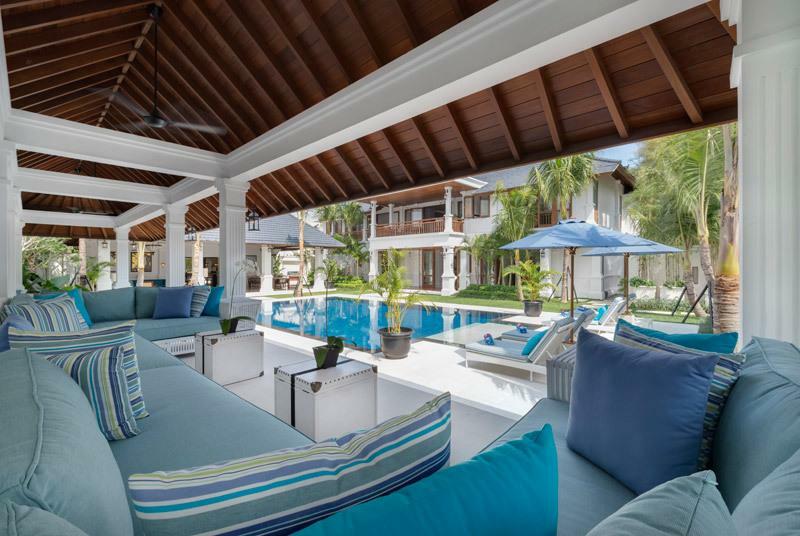 This new "Raffles Style," exclusive-use, private villa offers exemplary five-star services, state-of-the-art facilities and luxurious accommodation for groups of up to 12 adults in glamorous suites; further guests can be accommodated by arrangement. The many chic boutiques, restaurants and beachclubs, vibrant nightspots and sumptuous spas of Bali's hip and happening Seminyak area. 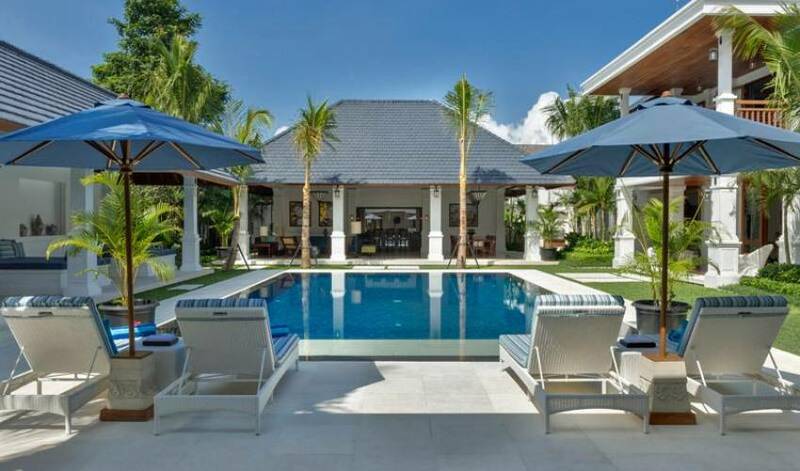 The villa epitomises the romance of the Far East with an intoxicating blend of luxury, history, grandeur and colonial ambience no other villa can match. 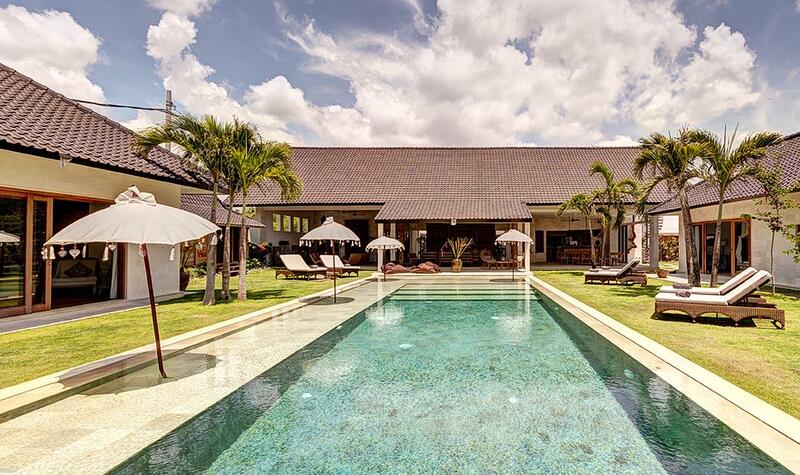 Designed and decorated in the sublime "Raffles Style," the villa is the perfect place from which to explore Bali or where to simply relax and be pampered. 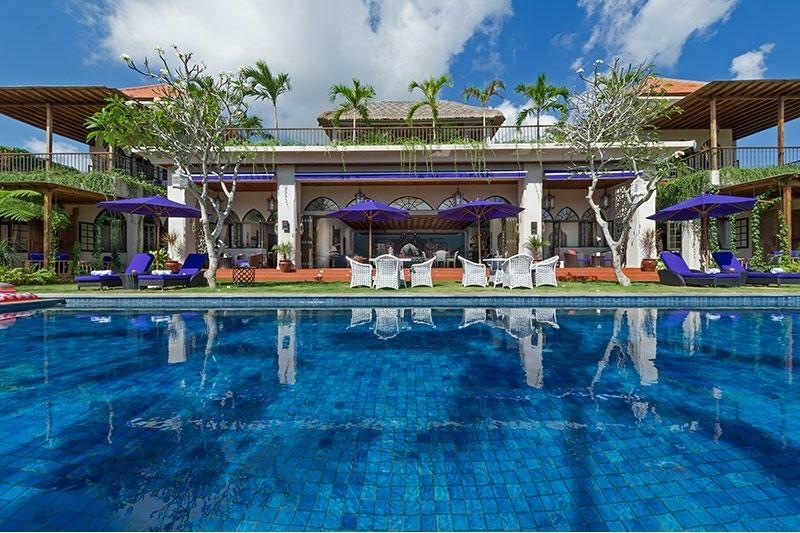 The tropical garden, the white stone colonnades, the marble and wooden floors and the unique air of romantic grandeur will transport you back to a more elegant age, while the seamless service, contemporary technology and attention to detail is completely of our time. The option of air-conditioned indoor or outdoor dining areas is available, each capable of seating at least twelve diners. The Outdoor Pavilion is cooled by overhead fans and overlooks the large swimming pool; it features a comfortable lounge area with an adjacent bar for cocktail and beverage service. 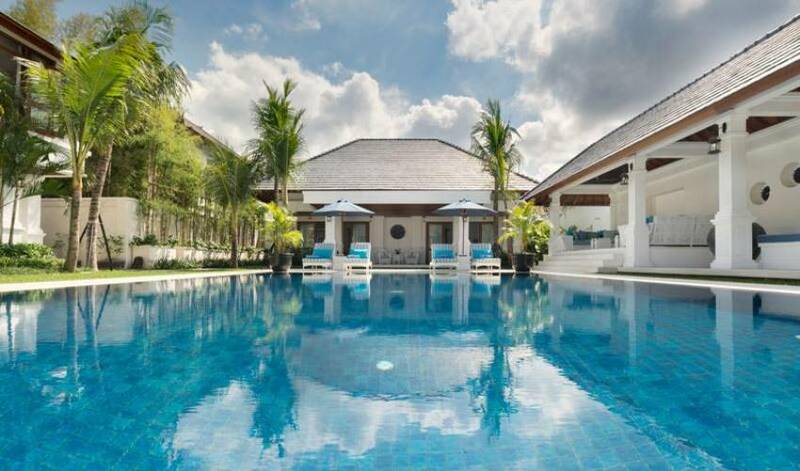 Conveniently located in a secure enclave in Petitenget with easy access to fine dining restaurants, chic bars and designer shops; Windu Asri ensures holidaying is a pleasure, a luxury of leisure - and any visit an indelible memory. 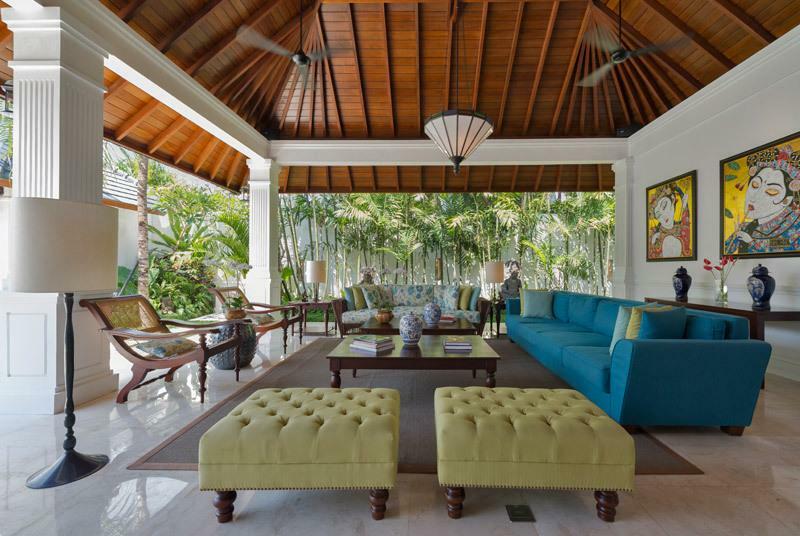 The villa is blessed with multiple areas where family and friends staying at the villa can meet to mingle and chat. 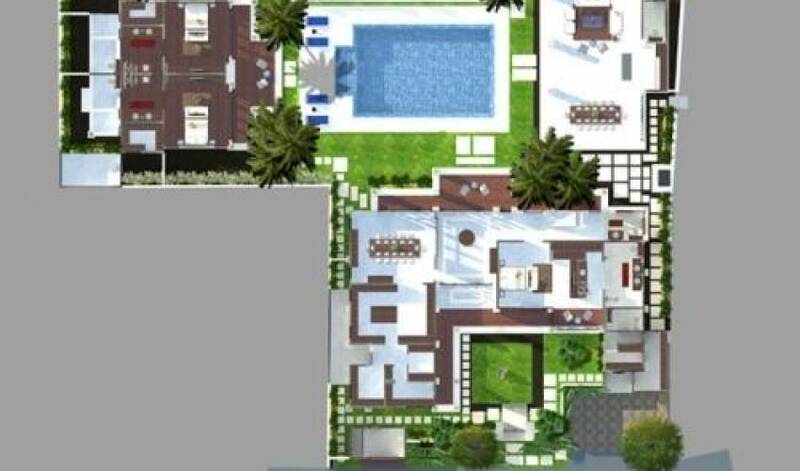 The Outdoor Living Pavilion is a perfect setting with comfortable lounges, ottomans and plantation chairs; the built-in bar is well positioned to provide refreshments. The balcony off the Media Room provides an elevated position overlooking the pool and gardens; gentle breezes fan the area, making it an ideal place to relax and enjoy a little quiet time in the evening. 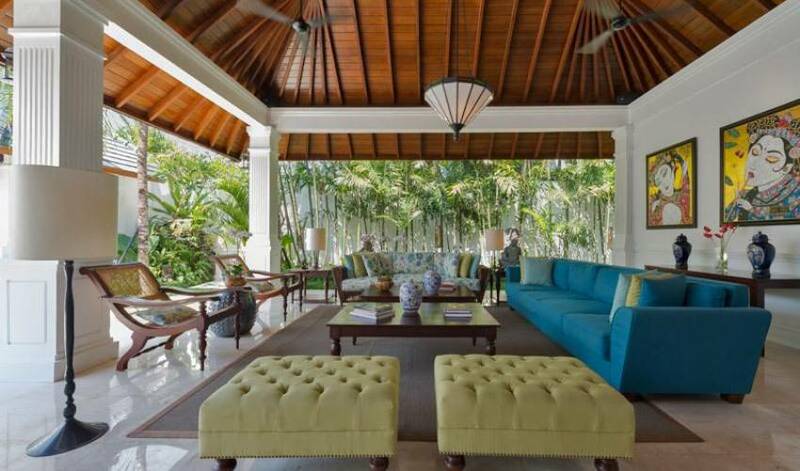 Colonial style "cane lounge chairs" are positioned around the property on the front and rear verandahs to the main house and outside the guest bedroom pavilion; well suited for a little private time or for a personal chat away from the crowd. 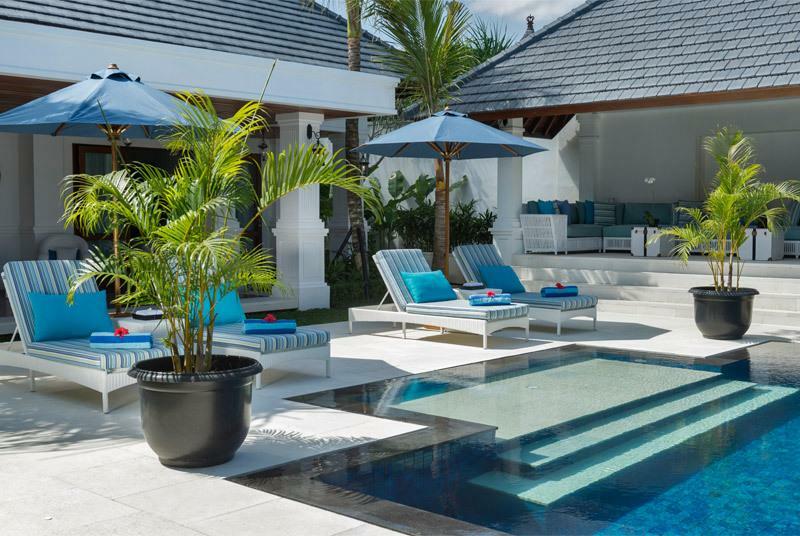 The focus of the garden is the splendid swimming pool, flanked by a wide stone sundeck, which is furnished with high-quality adjustable sunbeds and umbrellas, and complemented by the thoughtful provision of an outdoor shower. The pool features an entrance ledge ideal for young children under supervision; the main body of the pool is all 1.5 metres deep. 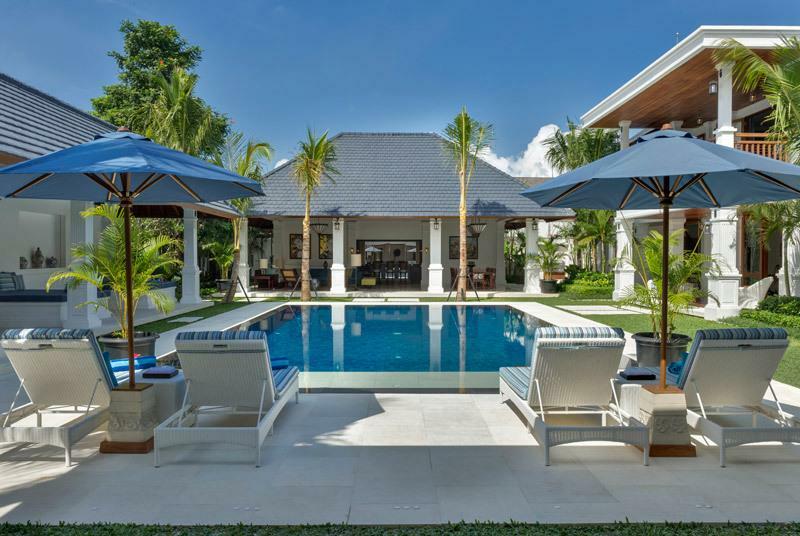 Running the full length of the pool, the "bale" pavilion features two distinct areas, one with twin built-in daybeds and the other with a built-in lounge suite; each area is cooled by speed controlled overhead fans. 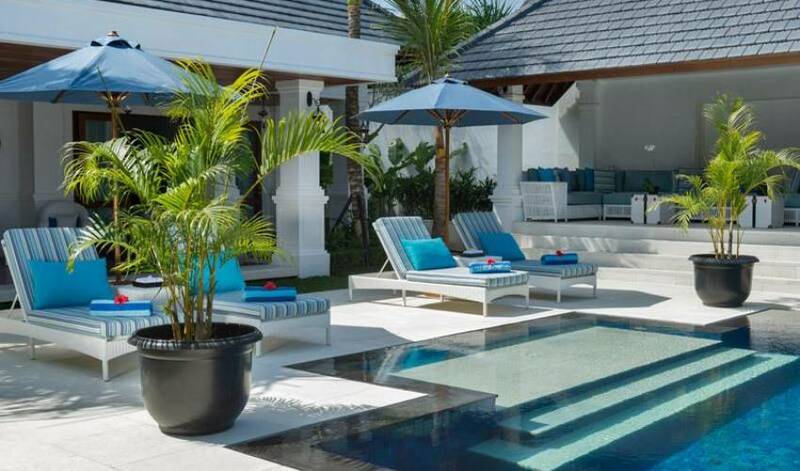 A safety fence can be installed around the swimming pool for the duration of your stay; simply ask the villa staff and they will be happy to arrange it without cost to our guests. Cooling off with a refreshing swim or escaping the sun under an umbrella or in the protection of the bales; both are relaxing and rejuvenating, the choice is yours! 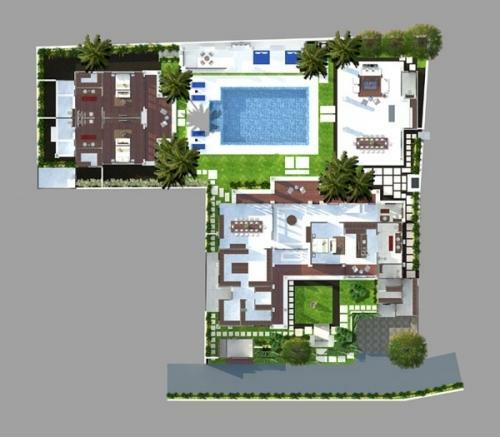 Windu Asri is located in Complex Vila Lumbung at Jalan Petitenget No. 1000x, Seminyak, Bali 80361, Indonesia. 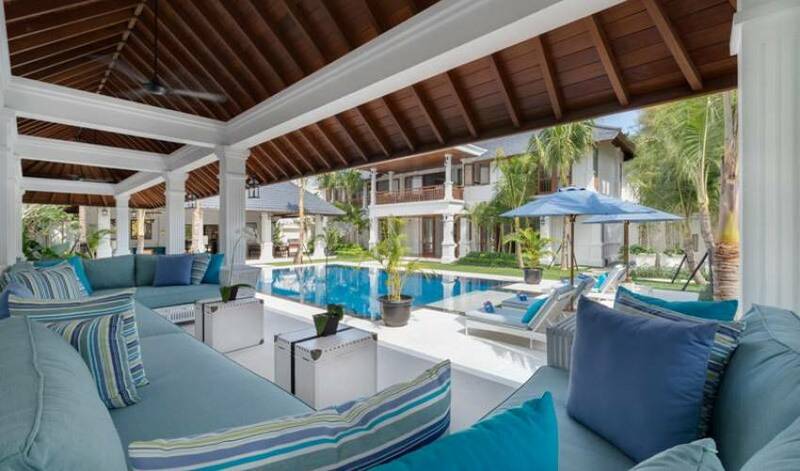 Being in the fashionable Petitenget/Seminyak area it is conveniently positioned for shopping and near a growing number of designer boutiques, in addition to a plenitude of sumptuous spas, chic lounges and vibrant nightspots, including the popular Potato Head Beachclub. 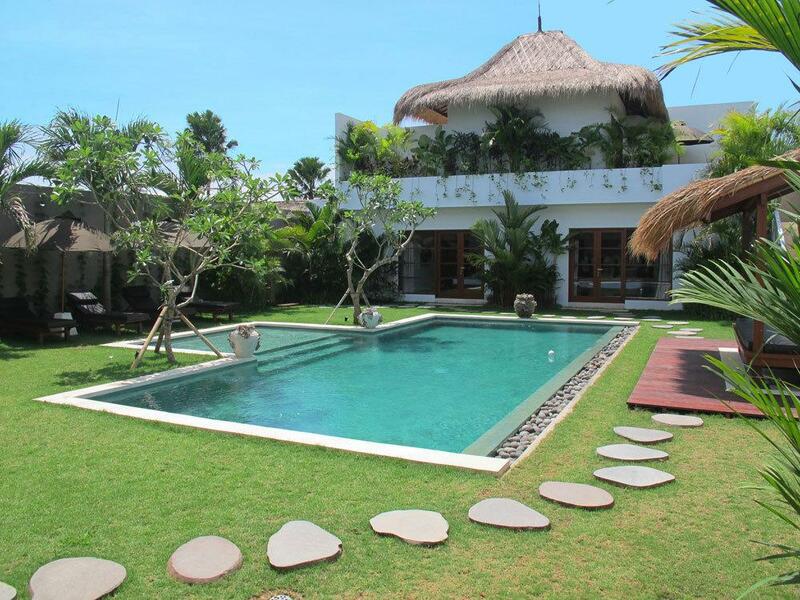 The villa is a short stroll from Legian Beach, well-known for its picture-perfect sunsets. A wide choice of fine dining restaurants, including Ku De Ta, Hu'u, Metis, La Lucciola, Sardine, Merah Putih, Mosaic Beach Club and Sarong are less than a kilometre away. The location offers easy access to the mountains and rice terraces on the western slopes; it is less than an hour from the cultural and artistic town of Ubud, and just five minutes' from the Sunset Route, gateway to the eastern side of the island.